As an experienced gourmet you know all about good food. That is why EL TORO should be your FIRST choice. 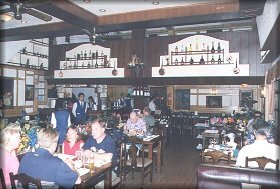 Whether going out for a romantic dinner for two or with a group of friends, you will never regret coming to EL TORO. Let your eyes feast on our romantic Old World ambiance. Let your taste buds imbibe the divine taste of our refreshing hors d�oeuvres, our wholesome soups, our garden-fresh salads, our fantastic array of dizzyingly delicious continental cuisine and, of course, our juicy, succulent collection of the greatest steaks around. Sizzling T-bone steaks, tender Fillet Steaks, mouthwatering Chateau Briands. 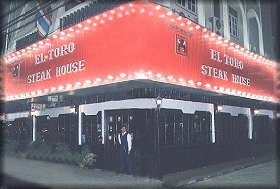 At EL TORO, we are not just a restaurant but a museum of the finest culinary collections whose heavenly taste will melt in your mouth bringing you to the highest degree of gourmet enjoyment. Copyright � 2000 www.pattayacity.com. All rights reserved.